There’s been a lot of activity behind the scenes at NetGalley over the last few months, and I’m really glad that our new developments have finally been let out into the wild! For me, the best is the introduction of some new categories – including literary fiction, horror, humour and middle-grade. Do update Your Categories with them in mind! I hope you like the new genre spotlights, and discovering all the new titles on the site – and with that in mind, here’s our top picks for December and January. Enjoy! This riotous, intelligent and consistently surprising novel is not short on ambition – its concerns are wealth, class, desire and family – nor on narrative drive. The story concerns Norwegian-translator Veblen, her fiancé Paul, a squirrel who may or may not know more than he is letting on, and a heiress to a pharmaceuticals empire, intent on promising Paul fame and fortune through a shady-sounding deal with the Department of Defence. Perceptive, inventive and very sharp. Last year’s winner of the Nobel Prize for Literature, Patrick Modiano, often borrows from crime and mystery novels while also examining the dark heart of the human condition. It means his work is both compelling and psychologically acute – and After the Circus is the perfect example of this, tracing, as it does, the relationship between a young man and an enigmatic woman he first glimpses at a police interrogation. Ratika Kapur’s first novel, Overwinter, was longlisted for the Man Asian Literary Prize, and this follow-up confirms her as one of India’s most affecting and unusual voices. Renuka Sharma is a dutiful, traditional wife and mother, waiting for her husband to return from Dubai. But India is changing around her, and it wouldn’t be the end of the world if she came out of her shell a little, would it…? In Quirke, Benjamin Black – the crime writing alter-ego of Booker-prize winner John Banville – has created an outstanding and enigmatic character who delves into the dark heart of a 1950s Dublin riven by hypocrisy and secrets. When a body is found in a burnt-out car, Quirke is called in to verify the apparent suicide of an up-and-coming civil servant. But Quirke can’t shake a suspicion of foul play. Tricia Sullivan’s Occupy Me may be categorised as Sci-Fi & Fantasy, but in many ways this is an unclassifiable novel of rare invention and skill. A woman with wings that exists in another dimension. A man trapped in his own body by a killer. A briefcase that is a door to hell. A conspiracy that reaches beyond our world. All combine in this sublime work of imagination. Tracy Farr’s The Life and Loves of Lena Gaunt finally gets a release in the UK – perfect for fans of offbeat and unusual historical fiction. Lena Gaunt is a character you won’t easily forget: musician, octogenarian, junkie, and lover of that most strange instrument, the Theremin. Garlanded with praise and prizes in Australia on its first publication, Gaunt is a fine achievement. Set to be one the big, big YA novels of the year, This Raging Light captures completely the agony and ecstasy of first love. There are so many wonderfully drawn characters in Estelle Laure’s debut, but the central voice of Lucille is just irresistible. A read-in-one-sitting treat. because you can see all your favourite publishers in one place, it makes it easier to find the books you want. And this set us to thinking – which publishers are the most popular? Here we run down NetGalley UK’s most favourited publishers and highlight one of their forthcoming titles. We hope you see your favourites here! With one of the widest, most eclectic list on NetGalley, Pan Macmillan is a firm favourite. Their choice is Beautiful Broken Things – a heart-stoppingly beautiful debut novel from Sara Barnard that is already garnering a huge following. From Bloomsbury, the home of Harry Potter, comes a brilliant and diverse collection of writers and styles. Their choice is Paul MM Cooper’s River of Ink, a story of love and revolution from a fierce new literary talent. Some of the world’s most enduring crime writers and an incredible stable of fiction means Orion is loved by NetGalley members. Their choice is The Poison Artist by Jonathan Moore – a frightening and wholly inventive crime thriller. Little, Brown encompasses a huge range of quality writing, from award-winners to household names. Their choice is the fabulous Your Heart is a Muscle the Size of a Fist by Sunil Yapa, sure to be one of 2016’s most talked-about titles. HarperCollins imprint Avon is famed for its dynamic and diverse approach to commercial fiction. Their choice is Meet Me in Manhattan by Claudia Carroll – a novel as intoxicating as the city in which it is set. Hodder & Stoughton publishes award-winning, best-selling books, from world-class fiction to professional and personal learning and development. Their choice is the hilarious, boisterous and brilliantly foul-mouthed memoir, Home is Burning by Dan Marshall. HarperCollins‘ fiction list is full of some of the world’s biggest and best bestsellers. Their choice is the gripping psychological suspense novel, tDead Secret by Ava McCarthy. The last Books of the Month to feature titles solely from 2015 is upon us – it’s amazing how quickly time flies, especially when the books are as good as they have been this year. This month sees a fiction-heavy selection, with old and new names jockeying for position. At the head of the pack is The Clasp, a debut novel by Sloane Crosley, the author of the much-loved I Was Told There’d be Cake. It’s a brilliant read, and one that more than delivers on the promise of her non-fiction. Elsewhere, there’s the return of one of Britain’s most mercurial talents, Rupert Thomson as well as Numero Zero, a new historical mystery from Umberto Eco. Sticking with the historical, Geraldine Brooks takes us back to the Biblical David in another spellbinding novel from the Pulitzer Prize winner. When three university friends – Nathaniel, Kezia and Victor – are reunited at a wealthy friend’s wedding, they soon fall into their old ways: Victor loves Kezia, Kezia loves Nathaniel, Nathaniel loves Nathaniel. It’s the same-old, same-old until a legendary necklace unwittingly sets off a bizarre and often hilarious chain of events that will shake up the trio like never before. Sparkling with wit and energy, this debut novel from the author of I Was Told There’d Be Cake is a diamond. Thirty-five years after he became one of the sensations of European Literature with his genre-bending The Name of the Rose, Umberto Eco returns, proving that his blend of strong plotting erudition and playful wit are unmatched anywhere. Numero Zero follows a hack writer, Colonna, who suddenly stumbles on the story of his life – and the Mafia, fascists and other groups are determined to stop him. The People of the Book was a properly luxurious affair – boldly plotted, deftly written and masterly in its blend of intelligence and pace. The Secret Chord is much the same, but traces the long and incredible life of the Biblical David. Resonant, deeply felt and expertly handled, this is peerless historical fiction and one that deserves as wide a readership as The People of the Book. Rupert Thomson is one of British fiction’s most distinctive, yet re-inventive voices – a writer of considerable power and poise no matter to what he turns his eye. In his new novel, Katherine Carlyle is a woman just like anyone else, though the nature of her birth is considered unique. At the age of nineteen, she disappears – and the secrets and pain of the past come rushing to the fore. Essential. The Iron Fey series has been one of the most loved and celebrated YA sequences of recent years – and this long-awaited final installment lives up to its predecessors’ brilliance. In the face of unprecedented evil and unfathomable power, Ethan’s enemies must become his allies, and the world of the fey will be changed forevermore. Taking a break from her Ruth Galloway series, Elly Griffiths transports us back to the 1950s with this new Stephens and Mephisto mystery. Brilliantly capturing the faded derelict glamour of Brighton, this creepy tale of a pair of children murdered is a must-read for fans of off-beat crime. Ken Liu is one the world’s most garlanded SF writers, with his short stories having won every major SF prize – but this is his debut novel, and one that begins a monumental new epic fantasy series. Emperor Mapidéré united the kingdoms of Dara, but now he lies dying. What will become of the union? Even the gods themselves are restless . . .
Homer Hickam is best known for his internationally bestselling memoir Rocket Boys, and there are similarities between this novel and that memoir. Again, this is a warm, funny, partly tragic tale of friendship and family. This one, however, involves a long journey – and an alligator! For some of us, it’s probably our worst nightmare: an old friend you once let down standing at your door. This is the premise of Elizabeth Evans’ perceptive, witty and slyly astute novel of betrayal and its aftermath. Psychological drama and suspense at its best. A plot that hinges on the reading of a will, does feel rather old-fashioned, yet The Hidden Legacy is far from old-hat. This is a clever, constantly evolving thriller that links a violent crime from the 1960s to the present day. A writer to watch. With Summer now rather behind us, and the rain settling in, the books for October take on a rather autumnal, even wintry aspect — and there are chills a-plenty to be found in our books of the month roundup. Our Book of the Month comes from the legendary Edna O’Brien, probably one of the world’s truly great writers. Peter James returns to his horror roots in The House on Cold Hill, David Young’s impressive debut Stasi Child takes us back to the Cold War years, while These Shadow Graves is set to be one of the best YA novels of the year. Also, do look out for When the Professor Got Stuck in the Snow, a book that was almost never published. Dan Rhodes – the most unusual and irrepressible writer of his generation – takes on religion, and its lack, in one of the funniest books you’ll read for many years. Finally, do have a look out for the NetGalley Challenge. You can find a lot more information here, as well as watching a really useful video about improving your NetGalley experience here. I do hope you find it useful! Since publishing The Country Girls in 1960 Edna O’Brien has been one of the most acute, acclaimed and venerated novelists – and in The Little Red Chairs, her first novel for almost ten years, her mastery of the form is once again shown to be thrillingly alive. When a wanted war criminal from the Balkans, masquerading as a faith healer, settles in a small west coast Irish village, the community – especially Fidelma McBride – falls under his spell. From this premise, O’Brien captures the internal and external worlds of men and women corrupted by the world, and how we cope with the aftermath of evil. It is a stunning, lyrical and deeply felt novel of rare grace and intelligence. The author of the incredibly successful Roy Grace mysteries actually began his writing career with supernatural chillers – a genre that he has now returned to for this terrifying haunted house tale. Born townies, Ollie Harcourt, his wife, Caro, and their twelve-year-old daughter, Jade move out to the wilds of Sussex and into the dilapidated grandeur of Cold Hill House. It is a dream come true for Ollie, but as the family move in, it slowly becomes more like a nightmare. Scary and very well told. David Young’s debut novel introduces Oberleutnant Karin Müller, a character we’re sure to hear a lot about in the future. The backdrop is East Germany in the mid-1970s, and Young diligently brings the paranoia and fear of the times to life, while also weaving an exceptionally fluid mystery that holds the reader gripped. 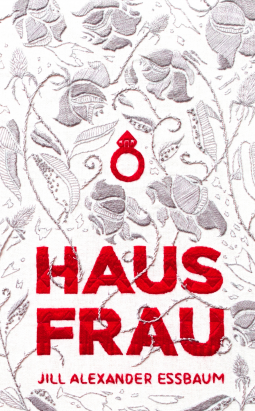 Reminiscent of Fatherland and AD Miller’s Snowdrops, Stasi Child heralds a bold new voice – and character – in historical crime. From Jennifer Donnelly, the critically acclaimed New York Times bestselling author of A Northern Light and Revolution, comes a mystery about dark secrets, dirty truths, and the lengths to which people will go for love and revenge. When rich girl Jo Montfort’s father dies in a gun-related accident, her perfect life is shattered. But she cannot help but search out the truth – no matter how dreadful the outcome. Atmospheric and brilliantly achieved. David Vann’s Legend of a Suicide was one the most feted American debuts of recent years. The stories it contained were autobiographical, but twisted and shaped in such a way that readers were consistently shocked. A Mile Down is pure memoir, but is written with the same poetic urgency of his fiction. In it, David recounts the inspirational tale of building his own boat, and the voyage that almost destroyed it. Dan Rhodes is unique in British fiction; a humourist with a heart, a comedian with a brain, and a writer with a keen eye for the absolute stupidity and beauty in life. His latest novel centres on world famous evolutionary biologist Professor Richard Dawkins being stuck a place called Upper Bottom. 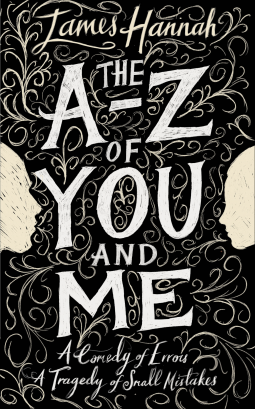 It’s an idea that made many publishers wary of putting it out, but they shouldn’t have worried: it is utterly charming, slightly nasty and brilliantly inventive. Not to be missed. Jonathan Lee is regularly touted as one of the finest young novelists in Britain today, and in High Dive he has written the best book of his career thus far. The narrative hinges on the assassination attempt on Margaret Thatcher and her Cabinet in Brighton in 1984. In sinewy, always interesting prose, Lee takes us through the spider’s-web of conspiracy and danger, bringing an urgency and suspense to historical events. Mesmerising. When young journalist Thomas Cleary is sent to dig up quotes for the obituary of a legendary film producer, the man’s eccentric daughter – Matilda Duplaine – offers him entry into the exclusive upper echelons of Hollywood society. What begins as a romance, however, becomes darker. Much darker. Timeless, romantic and utterly absorbing, it is a mesmerizing tale of privilege, identity and the difficult choices we make in the pursuit of power. Forty One is laced with good writing, searing insights into modern life, and the concessions we make for happiness. Eva Holden is middle-aged and stuck at home with the children, while her husband works for a year abroad. Just one year and they will be financially secure. But the time drags. As the boredom and frustrations mount, she find herself tempted by a past lover. Can she hold out? Should she wait? Lesia Daria’s tense and always believable narrative brings Eva’s fears in close relief. Powerful. Those who enjoyed Ripper Street will find much to admire in this tale of love and friendship set against the frightened streets of Whitechapel. It didn’t look like Dot Allbones would make much of her life, but now she is the darling of the music hall stage. Her best friend, Kate, was the beautiful one – but she has fallen on hard times, just at the worst time possible. Witty, convincing and compelling. There is a sense of term starting again in September, with the big autumn books starting to hit the shelves. What struck us as we were looking through the titles, was the wide range of what was on offer – and not just from the big publishers. In fact, this edition of Books of the Month is probably the most eclectic yet. Our Book of the Month comes from Bill Clegg – who is not only a bestselling memoirist but also one of New York’s hottest literary agents – a debut that will be hearing a lot about, you can be sure; and our sleeper hit prediction for the autumn is The Boy in the Mirror by Tom Preston. I hope you enjoy this month’s edition – we think it’s a cracking list of books! In a year of huge debut novels, Bill Clegg’s Did You Ever Have a Family opens with a bang – literally, as June Reid’s house goes up in flames, destroying her entire family. 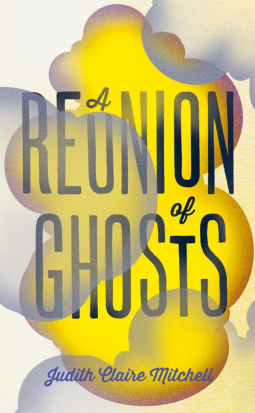 It is a shocking and brilliantly sustained piece of writing, and what follows, with June facing a kind of reckoning in the wake of the fire that has forced her confront her past, is superbly handled. Ultimately, it is not just June’s story, but the wider family we are born into and the one we create for ourselves. Perceptive and heart-breaking, Did You Ever Have a Family will be a much discussed novel. On the face of it, this is a book which simply should not work. As the publisher’s blurb itself says: ‘A hysterical, ridiculous book about crippling depression and anxiety? That sounds like a terrible idea.’ Except it isn’t. It is utterly hilarious, deeply upsetting and strangely uplifting. There have been quite a few books about mental health recently, but this is certainly the most unusual, and by far the funniest. Since breaking out with his incredible No Time for Goodbye, Linwood Barclay has become synonymous with knife-edge suspense, especially when set in a small town. And this is exactly what he has served up in Broken Promise – a small town with a massive secret. Murder, religious mania and unexpected twists combine in this superior thriller. John Banville is without doubt one of the finest writers of prose in the world. His facility with sentences is unrivalled, and his books have won some of the most prestigious prizes – including the Man Booker Prize for The Sea. His latest is meditation on the nature of theft and betrayal, with painter Oliver Orme setting out to steal his best friend’s wife for nothing more than thrills. A cancer memoir narrated in the second person isn’t exactly the most commercial idea that a writer has ever had, but this extraordinary story of determination and resilience is a revelation. Aged 21, Tom Preston was diagnosed with stage 4 advanced aggressive lymphoma. His chances of survival were optimistically placed at around 40%. This is the story of what happened next. Just reading the blurb for The Blackthorn Key, the first of a trilogy of books featuring apprentice Christopher Rowe, is enough to know how addictive it really is. Set in London 1665, a series of high profile learned men are murdered, including Christopher’s master. But his master left some clues, and Christopher is determined to find the culprit. Winner of the 2014 RNA Novel of the Year Award for A Night On The Orient Express, Veronica Henry is now one of the most respected and loved writers of romantic fiction. This gorgeous novel of secrets, hopes, heartache and dreams is set in Pennfleet, home of The Long Weekend, and is a joy from its opening lines. Be prepared to be swept away. Everyone experiences coincidences, from the trivial to the life changing. This book explores the phenomenon of coincidence – or synchronicity as psychologist Chris Mackey calls it – and reveals how it can guide us along our life path, helping us through challenging times and nudging us toward self-fulfilment. Quite simply one of the greatest living exponents of SF, Ian McDonald consistently explores and re-invents the tropes and ideas of the genre, and pushes it to its very limits. Having created imagined futures for Brazil, India and Turkey, he now moves to the moon in a novel of breath-taking audacity. Time was that August provided sad and meagre pickings in the publishing world, but over the last few years this has changed beyond belief. Far from worrying about there being no room for publicity, now many of the most talked-about books are being published in the middle of the summer. Our selection is an eclectic bunch this month, headed by The Loney – a small-publisher sensation which redefined the modern horror novel, now published by John Murray. There is also a lot of noise surrounding Hanya Yanagihara’s A Little Life (ironic title, considering the book weighs in at 736 pages) while Circling the Sun sees the return of The Paris Wife author Paula McLain. And do have a look at The Eagle in Splendour, which is a fascinating journey inside Napoleon’s court. Hope you enjoy the beginnings of summer, and see you next time! Originally published by a tiny press in Yorkshire, The Loney became something of a cult hit before John Murray stepped in to buy the rights. Compared to horror masterpiece, The Wicker Man, The Loney is an extraordinary, unsettling and hugely atmospheric tale of faith and ancient belief, centring on the relationship between Smith and his mute, mentally disabled brother Hanny. It is a sinister and consistently inventive tale that deserves to put British horror back on the map. This is a massive book, both in terms of its size and also with the weight of expectation resting upon it. The US response to this tale of friendship in the 21st Century has been ecstatic and is sure to be replicated here. Four classmates move to New York City, all their lives ahead of them. Over the coming decades we see Willem, JB, Malcom and Jude taste success and pain, but also face the challenges of an unseen past. Epic and heart-breaking, this is a book for our times. Take a journey back into the world of Napoleon’s court in this sumptuous, fascinating and absorbing account of the Little General as Emperor rather than as a great soldier. As never before, we gain access to the intrigues and excesses of the times, as well as a unique insight into one of history’s greatest figures. Even though this looks and feels a lot like a standard issue Scandi-Crime novel, The Father is actually something quite different – a compulsive and wholly immersive tale of three brothers who terrorised a county, and their other brother, who did not follow them. Based on a true story, this is utterly mesmerising stuff. This is perhaps one of the most intriguing and oddly constructed novels you’ll read this – or indeed any – year. At its heart is a goldfish called Ian. Ian has always wanted a more exciting life. Then, one day, from his 27th floor apartment a series of events means he comes into contact with the other residents of his block. You’ll fall head over heels for this witty and insightful debut. Ancestor to Colonel Blimp, Sir Blandford Candy is an irascible old drunk with a hatred of poets and a love of hats. After an argument with his new neighbour Alexander Pope, he looks back on his life and the start of the Civil War. This picaresque romp through the Stuart and Civil War-era Britain is glorious, exuberant and delightful stuff. The author of much-loved The Paris Wife returns to take us to the heart of another true story. Set in 1920s colonial Kenya, Circling the Sun is about an unforgettable woman who lives by nobody’s rules but her own. It’s a brilliant blend of truth and fiction, with an exceptional cast of characters – including the author Karen Blixen – but this book belongs to Beryl Markham, an always fascinating woman in the blasting heat of love, destiny and courage. Exquisitely done. Keep Your Friends Close was Paula Daly’s big breakout novel and The Mistake I Made is perfect for those fans already gasping for the next book, as well as those yet to discover her brilliant psychological thrillers. Roz is crippled by debt. But now a stranger has made her an offer. But can it really be just for one night? What will happen afterwards? As we move towards summer, publishers are spicing up their lists with some early beach reads. Not that beach-reading has to be just for blockbusters; getting some quality time to read without interruption is perfect for all kinds of books – and this month’s selection is sure to make you wish for languorous hours by the glistening pool. Our Book of the Month is the filthy, funny and utterly captivating I Take You, by Eliza Kennedy – sure to be a massive hit. It is backed up with some incredible YA novels, two thrillers you won’t want to miss, a blistering SF debut, and three novels that are already getting some serious attention (especially Laura Barnett’s The Versions of Us). Get requesting while dreaming of your perfect holiday reads! Set to become a sensation on both sides of the Atlantic, I Take You is a pitch perfect, hilarious and genre-defining comedy that mixes the classic with the contemporary. The set-up sounds familiar – Lily Wilder has a dream job, friends who adore her, a family full of charismatic and loving women, and a total catch of a fiancé, but is she ready to settle down? – however the execution is far from expected. Lily is a dream of a character, booze-soaked and self-assured, and following her will-she-won't-she journey to the altar is a hugely enjoyable romp, as well as a sly comment on sexual politics, monogamy and societal pressures on women. Serious fun. The question “What if?” Is probably one of the most posed in all of literature. What would have happened had someone done something differently one day? How different would things really be? In The Versions of Us, Laura Barnett asks these questions based on a single meeting in 1958 between two students, Eva and Jim. There are three possible outcomes, and each one brings with it something vital, surprising and engaging. Already picked up for a television deal, this is going to be one of those huge breakout books in the vein of Life after Life and One Day. It’s been almost twenty years since Anita and Me became an instant bestseller – and sixteen years since its equally well-received follow up, Life Isn’t All Ha Ha Hee Hee – but finally, Meera Syal returns to the novel. And it’s everything one could hope for – tender, often wildly funny and ultimately devastating. Shyama is forty-four and in love with a younger man. Together they want a child, and it looks like they might have found the answer in Mala, a young woman who has escaped from an oppressive marriage. But is everything as perfect as it sounds? Can both women find the happiness they crave? Gill Hornby’s first novel, The Hive, was one of the most talked about and intriguing novels of recent years–and her follow up is sure to delight fans of that first book. The small town of Bridgeford is in crisis. The high street is half empty, businesses are closing and the idea of civic pride seems old-fashioned to the commuters rushing home from work. Somehow, the town seems to have lost its heart. Can a choir really help to bring the community back together? This is a novel with real heart and one that can’t fail to warm the spirit. Simon Mawer is one of the most consistently surprising and unusual of British writers. His novel The Glass Room was shortlisted for the Man Booker Prize in 2009, and his most recent book, The Girl Who Fell from the Sky was an international bestseller. His new novel is a superbly crafted Cold War spy story. Time and place are vividly and exactingly realised, and his tale of the double life of Marian Sutro – caught between loyalties to her war-time past, and her uncertain present – is never anything less than utterly compelling. Of all the Scandi-crime imports of the last few years, The Bridge remains – with respect to The Killing – the most acute, unusual and insightful. Its creator has now turned his attention to the page, and The Man Who Watched Women is every bit as complex and addictive as his television work. This is the first outing for psychological profiler Sebastian Bergman as, against the backdrop of a Stockholm heatwave, he tries to uncover the truth about a series of murders, only to find himself implicated in their violence. Stunning. Yulla has spent her life in the caverns beneath the Kaladim, passing the days in total darkness and forbidden to venture to the surface world. But curiosity gets the better of her and she steals above ground. There she witnesses the abduction of one of the Fire Children – those given permission to leave the caverns – and is thrown into a struggle that threatens to destroy everything she holds dear. An electrifying, tense and often terrifying novel. With many of the fiction big-hitters releasing titles in March and April, May is often one of the most interesting months in the literary year – and this May is no exception. Perhaps the most exciting debut novel of the year – certainly the one that’s been causing the most interest at NetGalley – is our book of the month, The Gracekeepers. We’re all fans of Kirsty’s first book, The Rental Heart and Other Stories, and this is the perfect follow up. It’s sure to be a contender for novel of the year! There are three great crime titles this month, with the most intriguing coming from Saul Black, the pseudonym of a well-known, non-thriller writer, and one of the hottest new YA books, Bad Bones. Finally, there’s a book from a name that might be familiar from your inbox: NetGalley’s own Stuart Evers! Kirsty Logan’s first book, a collection of stories called The Rental Heart, introduced a huge talent – and earned her comparisons with the genius of Angela Carter. Her debut novel is everything you could want from a follow up: superb characters, a consistently compelling narrative and a vivid, brilliantly realized fantasy realm which is mainly under water. On first reading the bare bones of the plot – the magical story of a floating circus and two young women in search of a home – it’s easy to see why this is being compared to The Night Circus, but The Gracekeepers is entirely its own fabulous beast. Exquisite. Anne Enright won the Man Booker Prize in 2007 for her startling The Gathering, and The Green Road sees her again on scintillating, brilliant form. A dark, brooding novel set on Ireland’s Atlantic coast, The Green Road centres on the Madigan family, who are spending one final Christmas at the family home. It’s a time of upheaval, of the past rubbing against the future – and a novel that casts an enormous emotional hold over its readers. The third book from Stuart Evers – who is also NetGalley’s UK Community Manager – is a collection of twelve stories exploring parental love and parental mistakes. Set in the past, present and future these ‘thrillingly inventive’ tales have already been acclaimed by authors Eimear McBride, Jenny Offill and Teju Cole – while Stylist magazine said, ‘These spare, haunting stories are set to catapult Evers into the big time.’ Perfect for fans of Haruki Murakami, Lorrie Moore and George Saunders. T.C. Boyle is one of America’s most celebrated and garlanded writers, but he remains somewhat under-rated here in the UK. This is set to change with this charged and emotionally wrought tale of Vietnam vet Sten Stenson, his wife Carolee and their unstable son, Adam. A deep and disturbing meditation on the roots of American gun violence, it explores the fine line between heroism and savagery, between protection and barbarity. This is an exceptional novel from a true master. The Murder Bag was Tony Parsons’ first foray into the crime genre – and was one of the standout crime novels of 2014. Now, DC Max Wolfe ris back in another tense, gripping and violent mystery, this time trailing a pitiless killer through the streets of London. The Slaughter Man was the nickname given, thirty years before, to a killer who used a cattle gun to dispatch his victims. Then the same crimes begin again, even though the Slaughter Man is dying. Can he really be back? David Lagercrantz has been given the responsibility of continuing Steig Larsson’s Millennium series, and on this evidence, Lisbeth Salander is in good hands. This brilliantly realized reimagining of the death of visionary mathematician Alan Turing – he died eating a poisoned apple – is both convincing and utterly unputdownable, with an atmosphere that is palpable. This will be one of the most talked about historical crime novels of the year – and deservedly so. There has been a slew of ‘literary’ writers entering the world of genre writing of late – some rather more successfully than others. Saul Black, pseudonym for a highly regarded literary writer, is absolutely one of the successes. This is a crime novel that could easily have come from the likes of Jeffrey Deaver and Linwood Barclay – both of whom are championing this tale of bloody violence, a child’s innocence and the broken psyche of detective Valerie Hart. Combining evocative descriptions of early 1900s Paris with the smells and tastes of a decadent patisserie, and with a devastating love story at its heart, The Confectioner’s Tale is a slice of exquisite elegance, perfect for fans of Kate Morton, Rachel Hore and Victoria Hislop. The framing device of a grandchild discovering a photograph with ‘Forgive me’ written on the back gives the story an unusual narrative arc, and one that works delightfully.